First off, please excuse the look of my blog - I am in the middle of updating it but it's not quite finished. Second, how is this the last full week of the ORC?!? 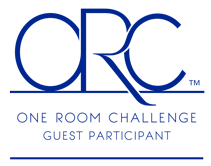 For those of you just joining in, the One Room Challenge (ORC) is a blog program in which almost 200 bloggers, designers, etc. 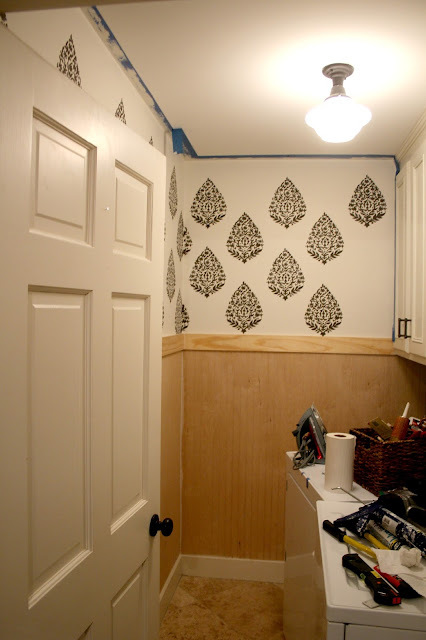 commit to changing up a room in 6 short weeks. I have learned that pacing yourself is EXTREMELY important - at the beginning, it seemed like we had so much time, and now that we are down to the wire, I would say we are still just barely over half done with our projects. Eeek!!! Speaking of lighting, that has been our challenge this week. I think I've mentioned before that the lighting in our oldish home is quirky at best & downright dangerous in some areas. Luckily, I have a a great team of electricians on speed dial, & they have benefited from dozens of hours and thousands of dollars as we bring our home up to code. Our biggest snafu this week was when the junction box in the laundry room shattered into a dozen pieces while my husband was putting in the last screw of our new light. And while hubby is a super handy guy, installing a new junction box was something he didn't feel comfortable doing. So we had a last minute visit from the electrician today, and after he took a look at it, we were very glad we called in the professionals. It might have set us back in both time & money, but at least now we don't have to worry that old wiring will cause a fire. I really liked the old schoolhouse light we had in here (see above photo for reference), but when I realized the laundry room light was directly behind the new glass & brass light we hung in the hallway, I knew we needed a more similar light for a cohesive look. HomeGoods did not have a second of my hallway light, so I found this one from Home Depot. It's actually huge (I thought it was a small pendant at purchase), but I think it works. Unfortunately, all that electrical work left a huge hole in the ceiling, and there's no time to fix it, so instead we slapped a coat of Urbane Bronze on an old ceiling medallion & it covered the hole perfectly. 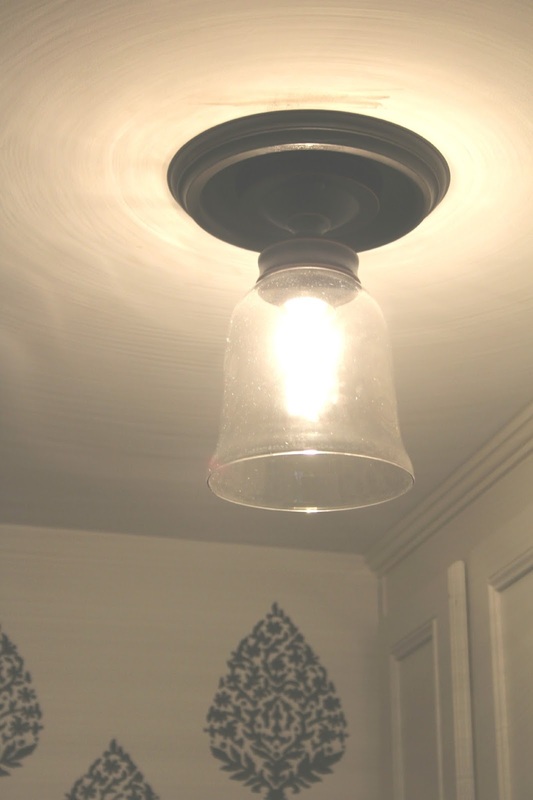 It wouldn't have been my first choice as the light fixture is simple, & the medallion is a bit much size-wise, but when you're in a time crunch, sometimes you just have to go with it. Excuse the poor quality. This room is so hard to get a photo of, as there are no windows nearby. We still have yet to start on the mudcloset, and the desk & entry are only about 10% complete.. Yikes. It's time to up the coffee intake. Let's look at our to-do list, shall we? Or maybe we shouldn't. Sometimes denial is a beautiful coping mechanism. 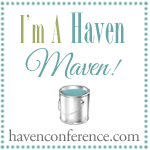 Don't forget to check out the progress of the other participants! We can do it! It sounds like you and your husband got a ton done this week!! That is huge! I love the utility sink and your new light fixture! I can't believe you're considering ORC in the spring?? I think I'm done after this for at least a while! ;) Have a great weekend! The ORC certainly is addicting, isn't it? This is going to be such a great room! You got so lucky with those World Market sconces! I was looking at them for our room too but they are out of stock online and in our area! Love them! Your room is looking great!